Have you ever known you have to do something and intentionally put it off. Like clean the garage, repair a squeaky door, wash the car or update a blog…count me guilty of the last one. I’ve been meaning to type out a new blog for over a week but until today it hasn’t made it high enough on the “To Do List” to get attention. 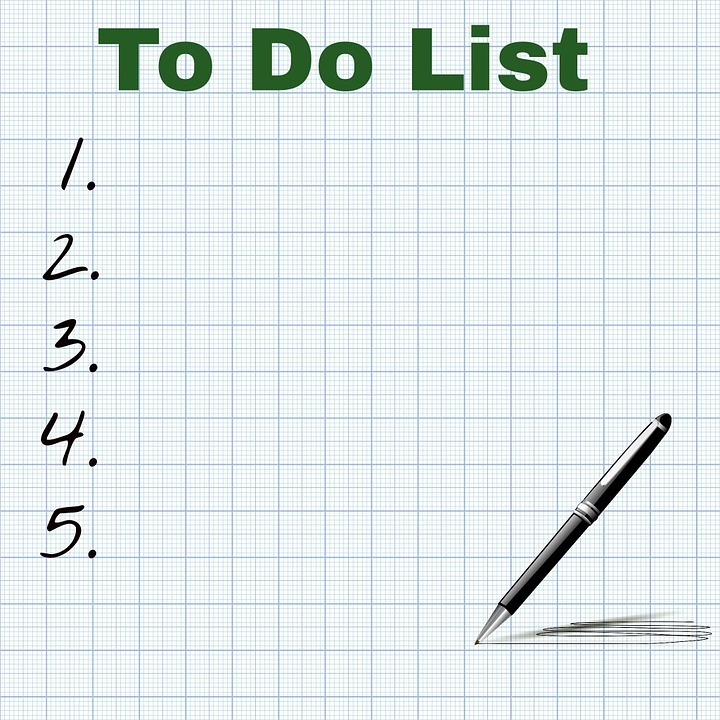 All of us make to-do lists, either written or mental. I have an a personal rule, if something takes 5 minutes or less, I do it when it comes up. For me, those items never make the to-do list. It used to be that when I made a list I would start with the things that are the most fun or enjoyable. The problem with that approach was that at times the less fun and enjoyable things tended to stay on the list longer. Those items got pushed from one day to the next and then my conscience would begin to nag me. The other problem that approach created was, the more serious the task or issue, the passage of time usually made it even more serious. It just wouldn’t go away – ever. And in the meantime, I would have to deal with the nagging of my conscience and the grief that the issue was causing. Here’s an example, when I was in graduate school I had to take a course titled Quantitative Analysis. The course was boring and it had two components. One component was statistics and that was mostly mathematical equations. I’m pretty good at math and throughout the course of the semester there were weekly quizzes. I mastered the quizzes and the math aspect without much trouble. There was also a theory aspect and throughout the course of the semester there were reading assignments from the textbook that covered the theory portion. The professor made it clear that the only time our understanding of the theory aspect of the course would be verified would be on the end of course exam. The textbook was beyond boring and after about the second week of the class I found reasons to put off the reading assignment. As the end of the semester approached I realized I had hundreds of pages to read if I were going to be prepared to take the final exam. I spent the better part of two weeks and all of one weekend reading a text-book titled “Theory of Quantitative Analysis”. It was brutal but if I learned nothing else, I learned a valuable lesson. I learned not to put off unpleasant tasks. I learned that when faced with an unpleasant task, the best approach is to deal with it as soon as possible. A problem dealt with yesterday is far better than a problem to be dealt with tomorrow. I learned to prioritize my to-do list, not based on the importance of the tasks, but based on how badly I don’t want to do them. I made a resolution that I would stick to that priority. Obviously I don’t stick to my resolution religiously (if I did this blog would have been updated earlier in the week), but I have found that when I don’t, my grief level rises proportionately. Take it from me, you can lower your own grief level by doing the thing you’ve been avoiding the longest and you want to do the least. I’m signing off now so that I can begin typing a blog for next week!